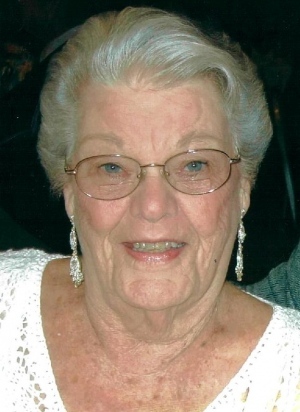 Jane M. (Manuel) 92 of South Dennis passed away April 2, 2019 at Cape Cod Hospital in Hyannis. She was the wife of David E. Sutherland for 57 years. Born in Waltham, Jane was the daughter of the late Cornelius and Margaret (Bacon) Manuel. She was the youngest of three children. Before retiring and moving to Cape Cod full time, Jane worked for Raytheon in Wayland as a Keypunch Operator. Some of the hobbies she enjoyed were sewing, crocheting, ceramics and jigsaw puzzles. Jane was also a lifelong member of the West Dennis Yacht Club. She will be dearly missed by all. In addition to her husband, she is survived by her son, Richard Read and his wife, Ginny of Mashpee; two grandsons, Sean Read of Boston and Ryan Read and his wife, Andrea of East Falmouth; two great grandsons, Andrew and Logan Read of East Falmouth; her older sister, Betty Gutmann of Minnesota; and several nieces, nephews; and many good friends. Visitation will be held from 3 to 5 p.m. Thursday April 11 in the Hallett Funeral Home, 273 Station Ave., South Yarmouth. Interment will be private. As an expression of sympathy, memorial donations may be made to Elder Services of Cape Cod & the Islands, 68 Route 134, South Dennis, MA 02660.